Philips - How to find a local store? Home / Product Selection / TV / Before You Buy / How to find a local store? How to find a local store? 1. Select your country to start the search for a local store. 2. 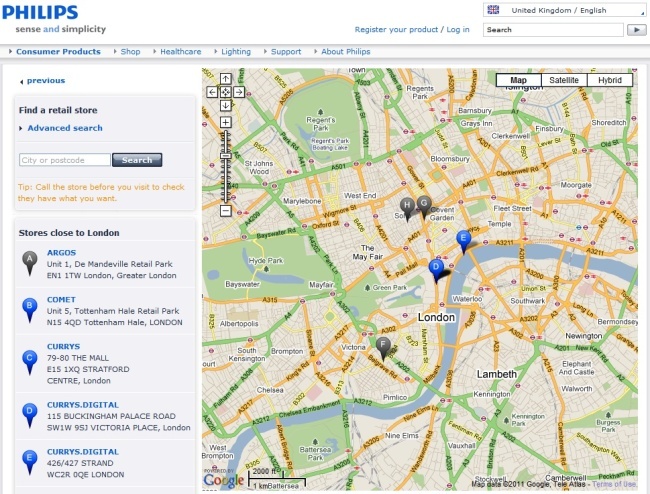 Select the product group you are looking for and enter your city or postcode. Then click on Search. 3. On the left side you will see a list of all stores in your area. They are sorted by the distance to your entered postcode or city. Right beside the list you will find a map where all stores are marked with their letter. 4. You can click on a store on the left side or on one of the letters in the map to see some details of the selected store. 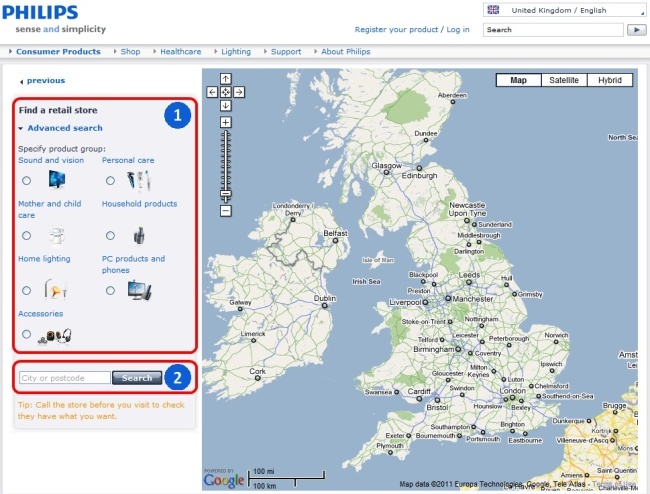 An overview appears – it shows the address, phone number, email address (optional) and which product groups are sold by this store. Tip: Call the store before you visit to check they have what you want.